Sikkim is a place that has such a different culture when it compared to other regions of India. Being in the corners with no direct route to reach here, this place is rich with history as well as culture. There are so many things you can learn about Sikkim and some of them are not even known to Sikkimese themselves. However, this makes all the more difficult to figure on what things one should buy while in Sikkim and what holds what value exactly. Below I am mentioning just that, a comprehensive list of souvenirs you can shop from Sikkim. And these are not just my tips, this comes straight from the books of Sikkim. Cheers! Brownie Points: You can book the Sikkim tour with ‘Our Guest Diary’ to travel with comfort, AND!!!! also get a discount of INR 4,000/- on the package. The discount is valid on either two or four combined bookings. Use code NOMLLERS50 and check this link (The page will open in a new tab). 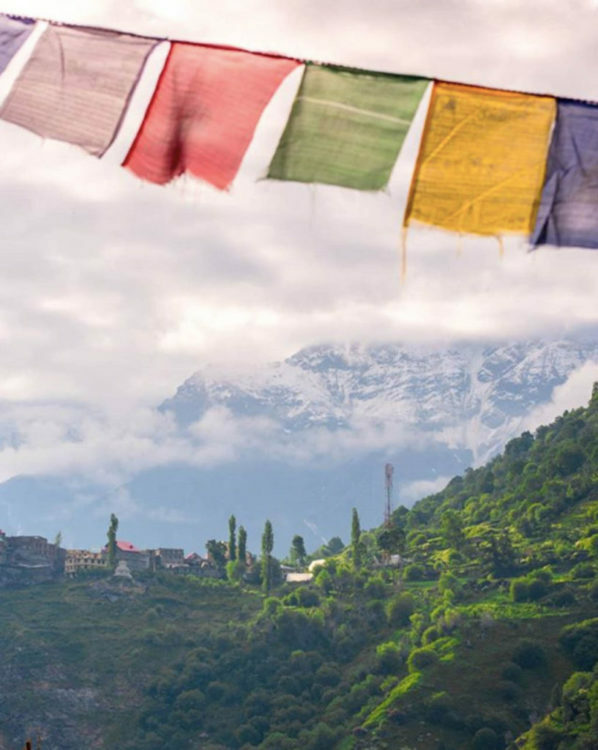 If you want to keep your souvenir simple, even a prayer flag would be the best thing to take away from Sikkim. These flags can be found all over Sikkim at every corner of the road and add a very peaceful vibe to nature. You will get these in various sizes for you to chose from. These are the paintings that portray the face profiles and life of the local people. You will also find some depicting the eight lucky signs. Sikkim tea from Temi Tea Gardens has exotic taste and flavour. You may pick packets before leaving. It comes in brands as Temi Tea/Sikkim Solja/Denzong Tea. The Sikkimese dress looks quite like Nepalese dress and has a really different style when compared to the rest of the Indian clothes. The dresses are made of Silk and also has a hat that can be taken away as a souvenir as well. Sikkim Supreme produces various fruit juices, jams and candies. The most popular ones are orange and passion fruit juices, Khangchen berry juices and ginger candies. You will find quite a lot of pickle varieties produced in Sikkim. The popular ones are those of Round Chillies (Dalley) and Bamboo shoots. Sikkim produces some popular fine quality liquors and is comparatively cheap. You may take home a couple of souvenir brands like Shangrila (whiskey), Fireball (Brandy), Old Gold (Whiskey) and a souvenir pack having miniature sample bottles of all brands. This is a hard alternative to betel nut made out of yak milk and is a nice chew to keep your mouth busy. 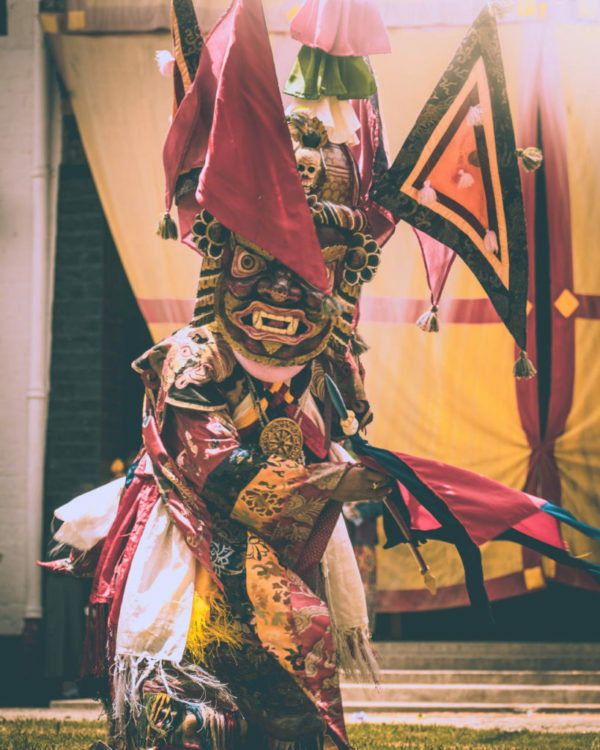 Giant masks are used by monks and locals to perform rituals. One of the prominent ones that I was able to witness was in ‘Pang Lhabsol’. Every warrior in this dance was wearing the mask and each mask signified something.